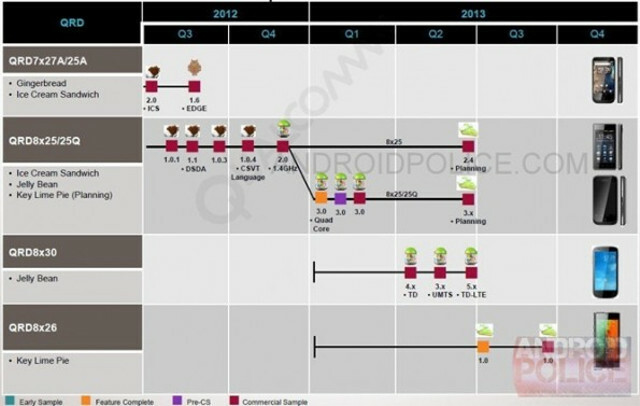 Just read an article on Cnet about 5.0 KLP possibly being released during Q2, 2013. I'm not a big techie so I figured this would be the best place to try and find out if this would automatically be pushed out as an update to our Nexus 7 tablets. Being a Nexus device, it is highly likely that the next version of Android will be pushed out as soon as it's ready for us to test. bigtroutz and Aquila like this. Ry, Minkey1 and Aquila like this. Sorry, I don't get it...again, not a techie. Can you guys clue me in? I think he means they will push it out and it will be buggy. We will all use it and complain to google relentlessly. jenluvs2sing, gnr_2 and bigtroutz like this. A supposed roadmap was 'leaked' recently. Qualcomm requested the material be removed from AndroidPolice, but Gawker has the information and source images up on Gizmodo. See this, this, and this. The Q2/late-spring timeline shown in the images matches up with the mid-May Google I/O event, which is very likely to be the stage for the next version's reveal. Still1 and Ry were referring to the fact that there will likely be a few issues with the release, but also to the community's habit of pushing Android much further than Google likely does during its testing. Google pushes it out, and we run with it from there. Thanks Planoman....was thinking that's what it might be but didn't think something so widely pushed out would be that buggy. I'm getting a great education from all you frequent posters. Good to see a forum that's actually helpful and absent of trolls. Yeah, the moderators for this forum are quite good at keeping things cool and troll-free! It's just a reference to the perception that everything Google releases feels like a beta test, even when released to the general public. Well, there's really no better way to see where improvements need to be made, what bugs exist that need to be fixed, etc. than real world use by 1000's of people. surely you jest -- millions actually !! crystal !! LOL I think many of us learned a hard lesson last time tho...I know I expected a minor bug fix, not total re-installs needed for many of my apps to restore function !!! Well I haven't used JB yet, still got the 3VO. But I guess I'll find out when I upgrade. 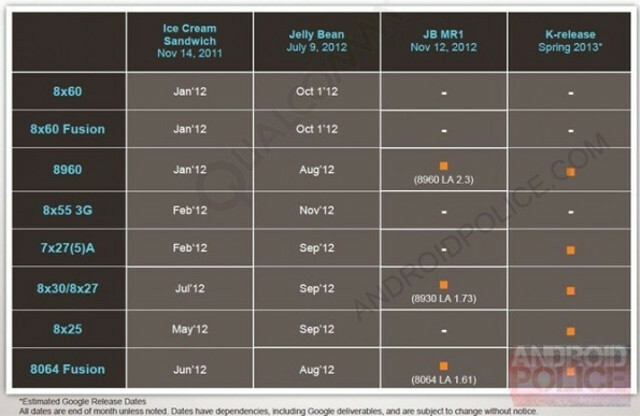 Will the Nexus 7 get Android 4.2 Key Lime Pie? Android Key Lime Pie 5.0? 4.2? Release Date??? Why Google Must Put Dessert First and Race to Key Lime Pie, etc. Real Key Lime Pie is not green!